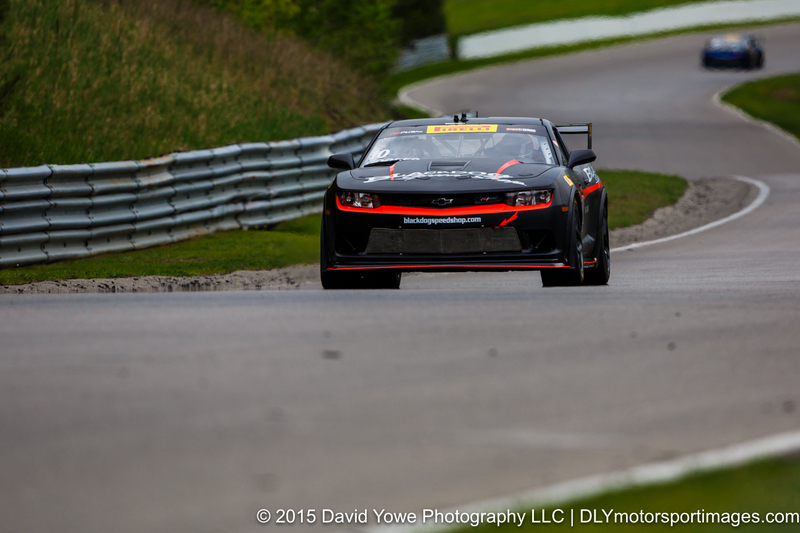 The Pirelli World Challenge (PWC) qualifying at Canadian Tire Motorsport Park was held on Friday, with GTS class near noon and GT mid-afternoon. In GTS class, Max Riddle in the #07 TRG-AMR Aston Martin Vantage GT4 took pole position with a time of 1:23.717 and speed of 105.742 mph. Not far behind were Kurt Rezzetano in the #37 Phoenix American Motorsports Ford Mustang and Jack Baldwin in the #73 GTSport Racing Porsche Cayman S.
For GT class qualifying, Johnny O’Connell in the #3 Cadillac Racing Cadillac ATS-VR GT3 took pole position with a time of 1:15.296 and speed of 117.568 mph. Second fastest was Olivier Beretta in the #61 R. Ferri Motorsport Ferrari 458 GT3 Italia, then Butch Leitzinger in the #20 Bentley Team Dyson Racing Bentley Continental GT3. Started the photo shoot on the Mario Andretti Straight near Turn 6, then worked my way towards the end of this straight. 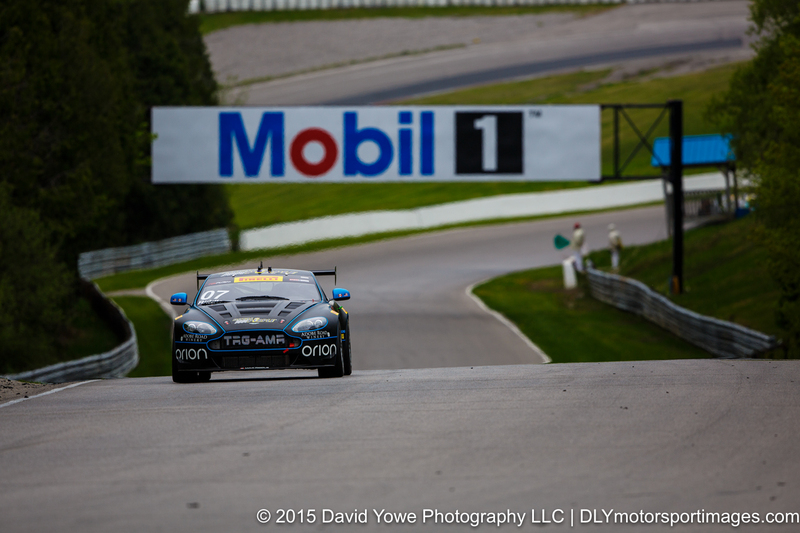 Pole-sitter Max Riddle in the #07 TRG-AMR Aston Martin Vantage GT4. 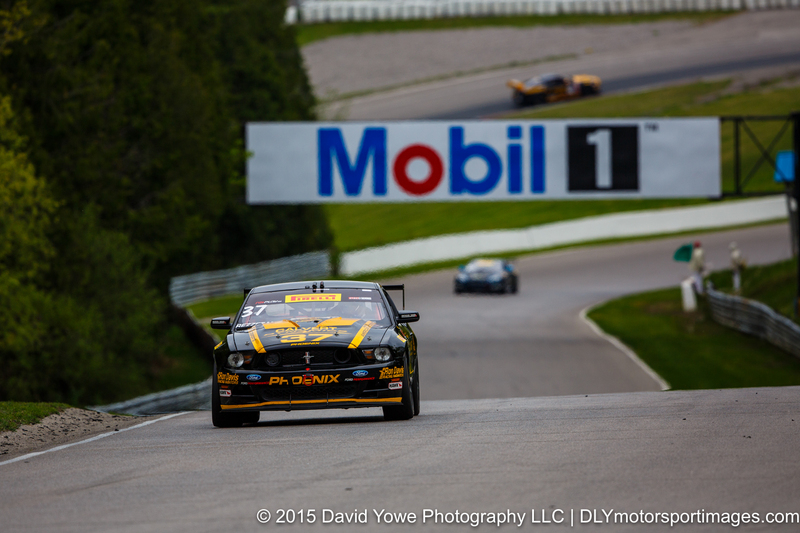 Second fastest was Kurt Rezzetano in the #37 Phoenix American Motorsports Ford Mustang. 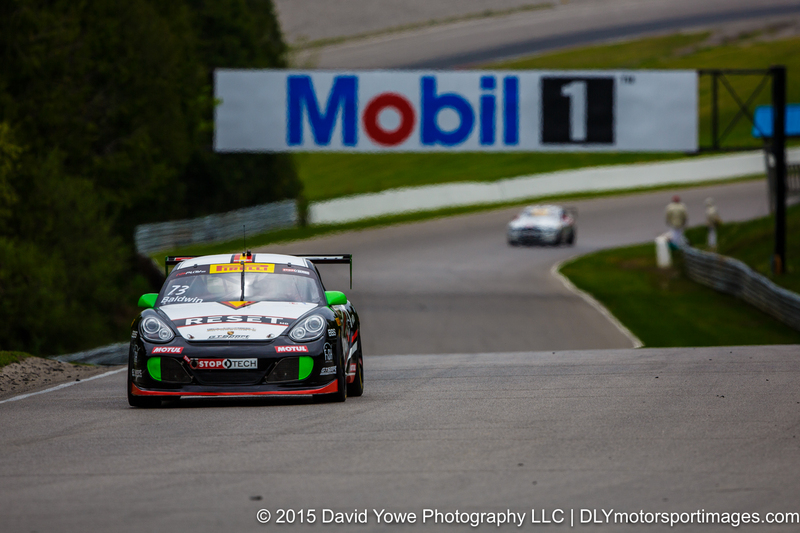 Jack Baldwin in the #73 GTSport Racing Porsche Cayman S was third fastest. 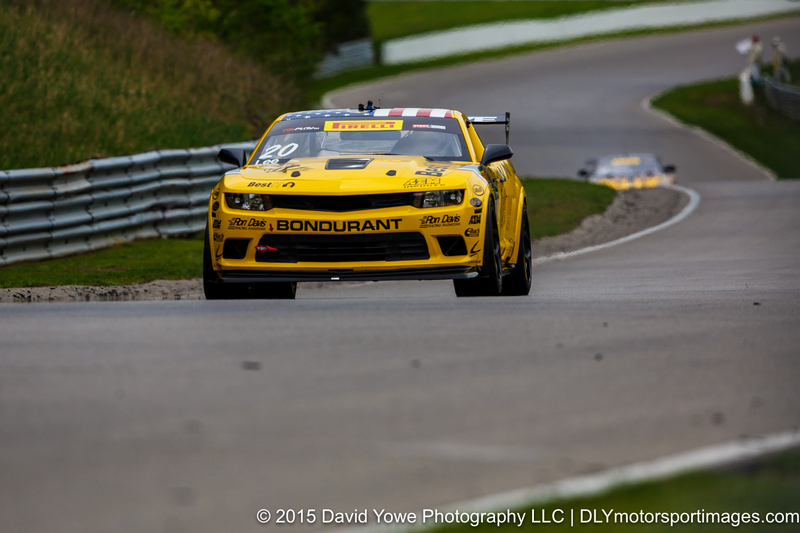 Andy Lee in the #20 BestIT Racing Chevrolet Camaro. Michael Cooper in the #10 Blackdog Speed Shop Chevrolet Z28. Dean Martin in the #50 Rehagen Racing/Picture Cars East Ford Boss 302. For the afternoon session went to the outside of Turn 3. 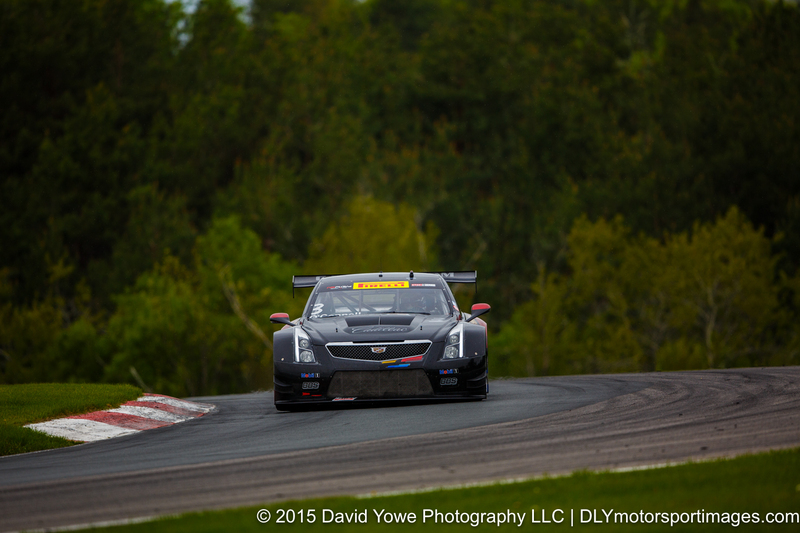 Fastest was Johnny O’Connell in the #3 Cadillac Racing Cadillac ATS-VR GT3. 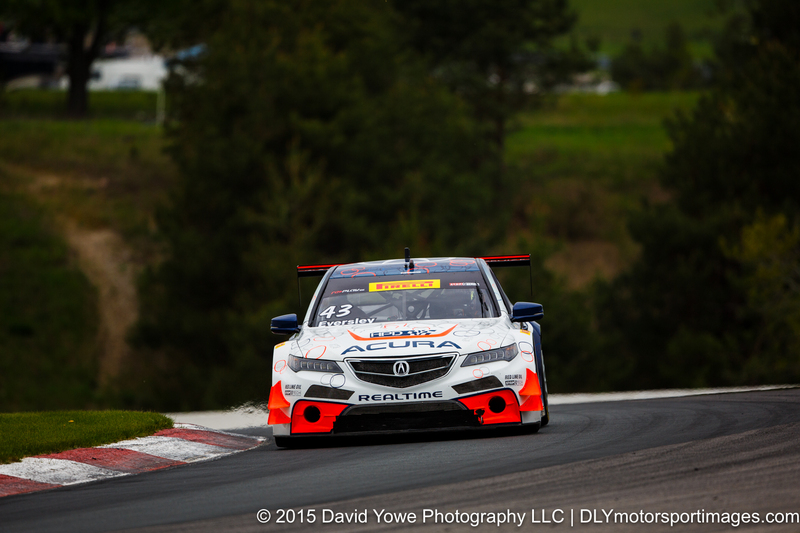 Even under the overcast skies the white livery shone through on the #43 RealTime Racing Acura TLX-GT driven by Ryan Eversley. 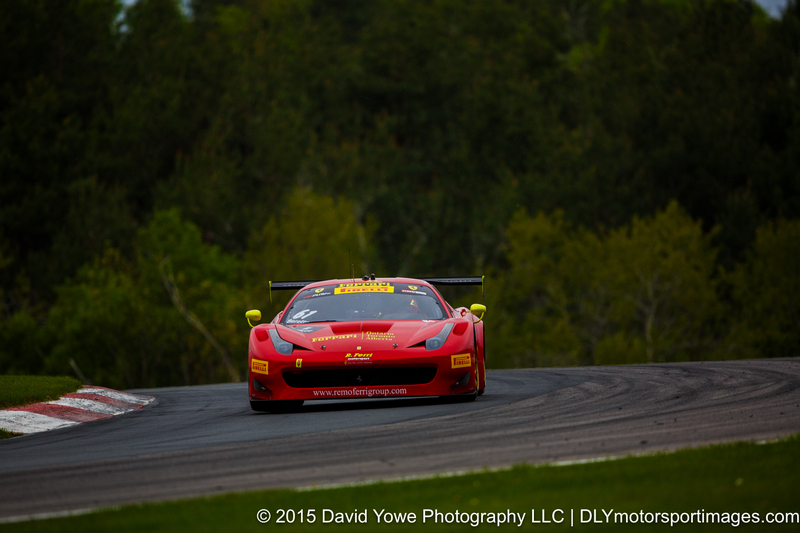 Second fastest was Olivier Beretta in the #61 R. Ferri Motorsport Ferrari 458 GT3 Italia. 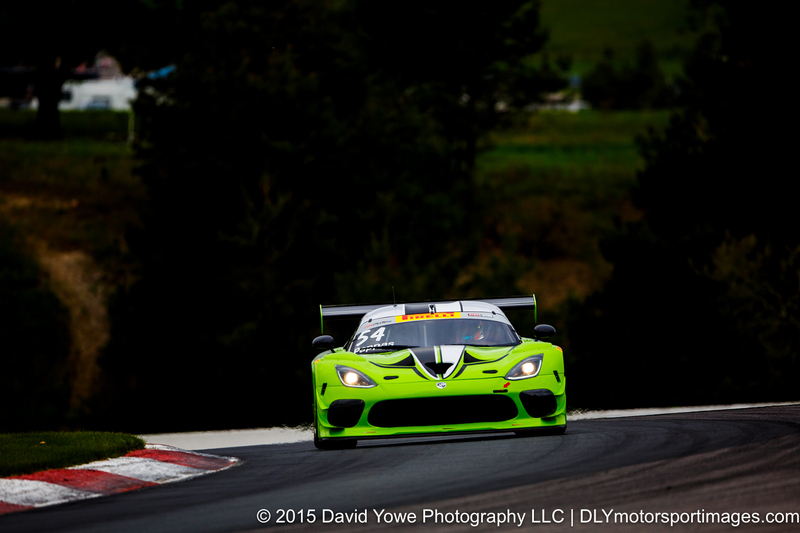 The dark conditions really made the lime green livery “pop” on the #54 Black Swan Racing Dodge Viper GT3R driven by Tim Pappas. 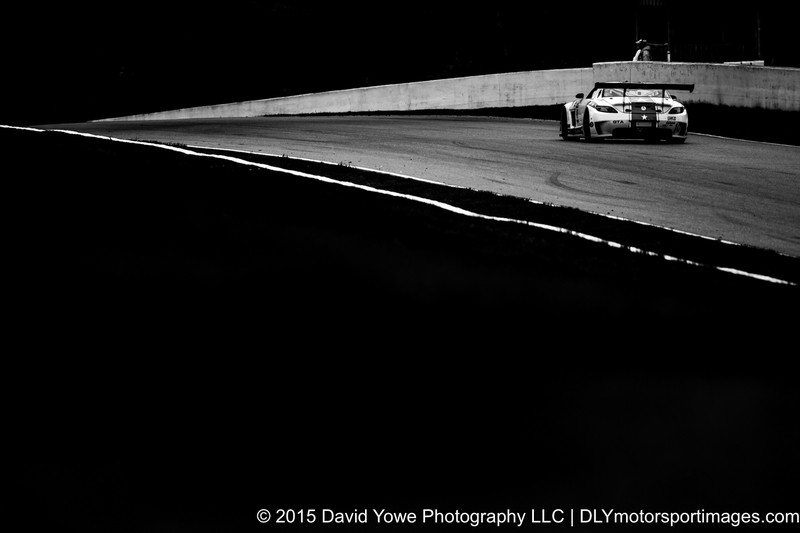 Was a little bit “artsy” in the exposure of the #20 Bentley Team Dyson Racing Bentley Continental GT3 driven by Butch Leitzinger who was third fastest. 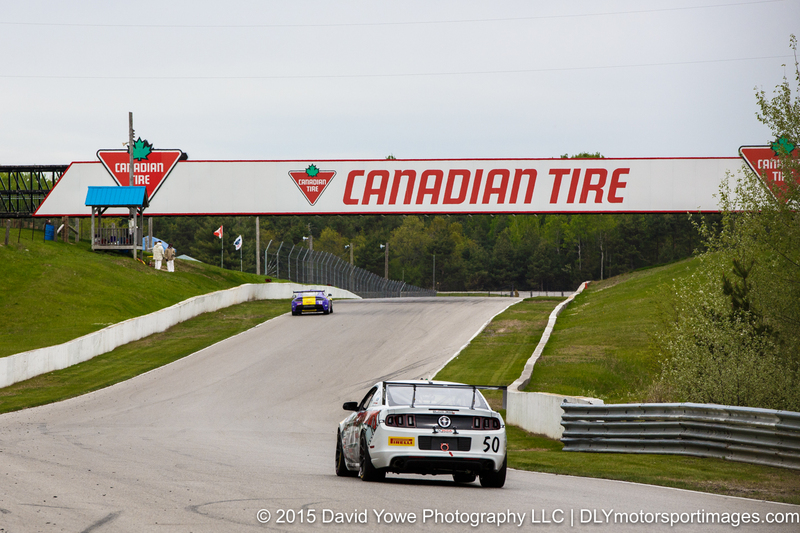 To the right of Turn 3 you can get shots of the cars going under the Continental Tire Bridge into the steep Turn 4. 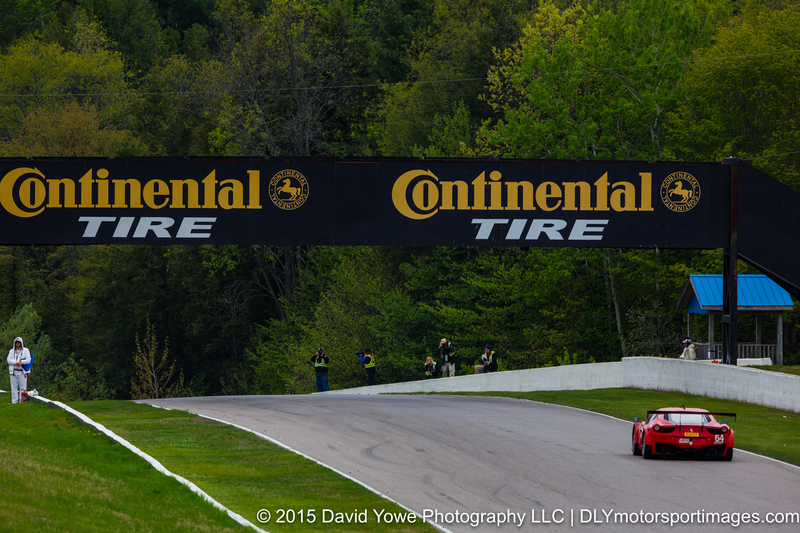 Duncan Ende in the #64 Scuderia Corsa Ferrari 458 Italia. Another “artsy” shot. 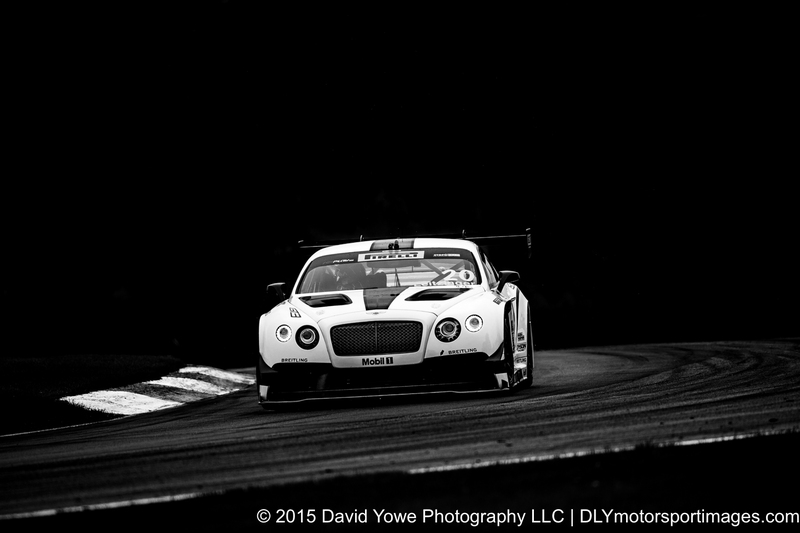 Henrik Hedman in the #10 DragonSpeed Mercedes-Benz AMG SLS GT3.